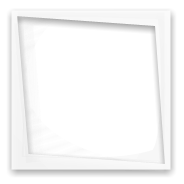 phototastic has given 3 likes to other members' posts. phototastic has not given any feedback to others. Sell: phototastic was selling. Buy: phototastic was buying. Overall rating average of each role/forum shown in parenthesis. This new marketplace feedback system started in early 2018. Older feedback for this member may be available in the legacy feedback thread, click here to autosearch them. To search for all threads by phototastic in marketplace forums, click here.